Polaris Stolen - $5,000.00 Reward! 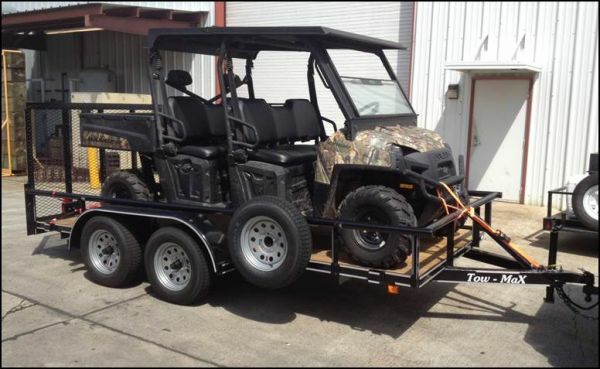 Polaris Ranger and trailer stolen in Baton Rouge, La. last Monday 10-1-12 on the corner of Stuart and Mimosa(Southdown Area). Polaris was a camo 2012 Ranger Crew 800 that was on a Tow-Max (Circle M) two axle trailer. The unit was stolen between 7:50 AM and 8:35 AM in the morning. Suspect is believed to be a white male with dirty blonde hair driving a white pick up truck. $5,000 cash reward offered for information leading to the conviction of the theif and return of the unit. Call 985-209-8219 with any information!